Choose a qualification that suits your changing needs throughout your career journey. If you're new to the industry or looking to join, or if you're a Grandfathered Person returning to education, the Accredited Product Adviser (APA) is the best place to start. 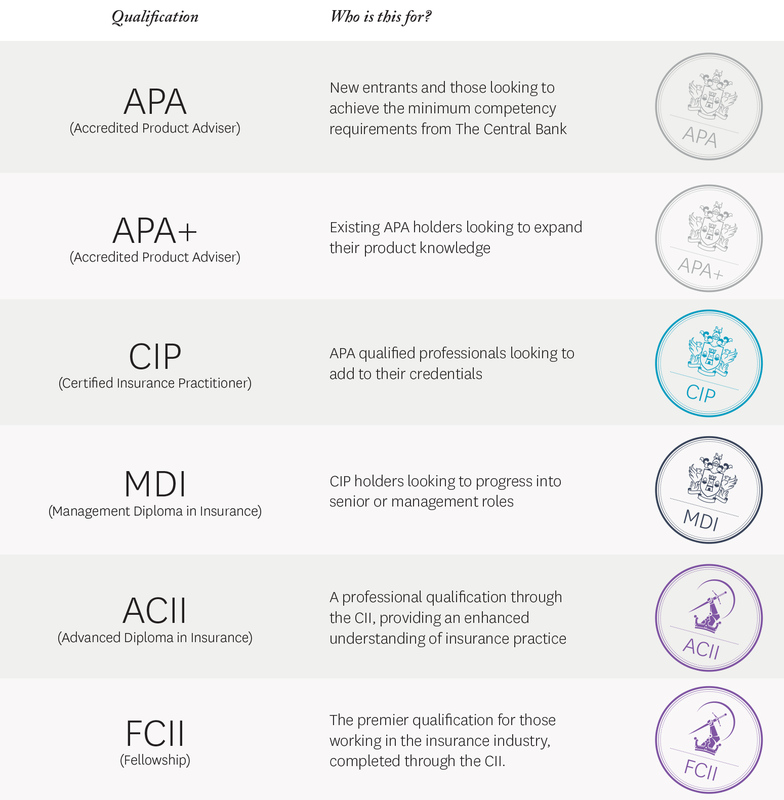 If you want to take the next step after APA, just complete 3 more modules to earn the Certified Insurance Practitioner (CIP) designation. You'll then be qualified in all areas of general insurance. The Management Diploma in Insurance (MDI) is our advanced qualification for those looking to move into management positions or deepen their insurance knowledge. You'll learn about areas such as law, motor insurance, liability, life assurance and pensions. Our courses can help you advance at any stage of your career. Get an overview of all of our programmes and services in our Prospectus. Our Member Services team will be more than happy to talk you through your options. Call them on 01 645 6670 or send them an email by clicking below.